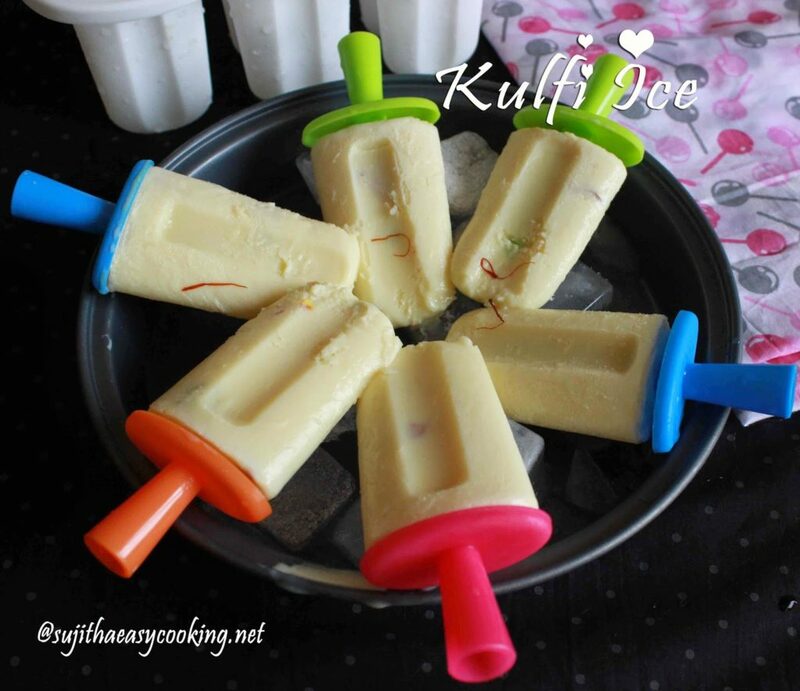 Making kulfi in home is such a easy one.. know what are the ingredients in kulfi first.. always it’l be a special moment to see what are the ingredients added to our favorite stuffs..
Before seeing the recipe, i too had the thought of its a tough and some rare ingredients added in kulfi preparation.. Once i saw this in a box, immediately i grabbed the box for the recipe.. long time it was in my cupboard, last week again the box flooded top there and attract my attention towards it.. and this time i don’t want to postpone the simple preparation.. finally prepared a yummy kulfi in home.. all happy of the result.. Lets go with the recipe.. Do try and let me know how it turns for you..
* Crush the Yeallaki/Cardamon, add it to the milk. Soak the saffron in 3 tsp of milk, mix the Corn flour with few drops of water to make Corn starch.. start boiling the milk, reduce the flame and boil till the milk reduces the quantity to half..
* Add in the Condensed Milk, mix them well with the milk.. Add in the Corn starch to the milk, cook this in low flame.. cook till becomes little thick in consistency. 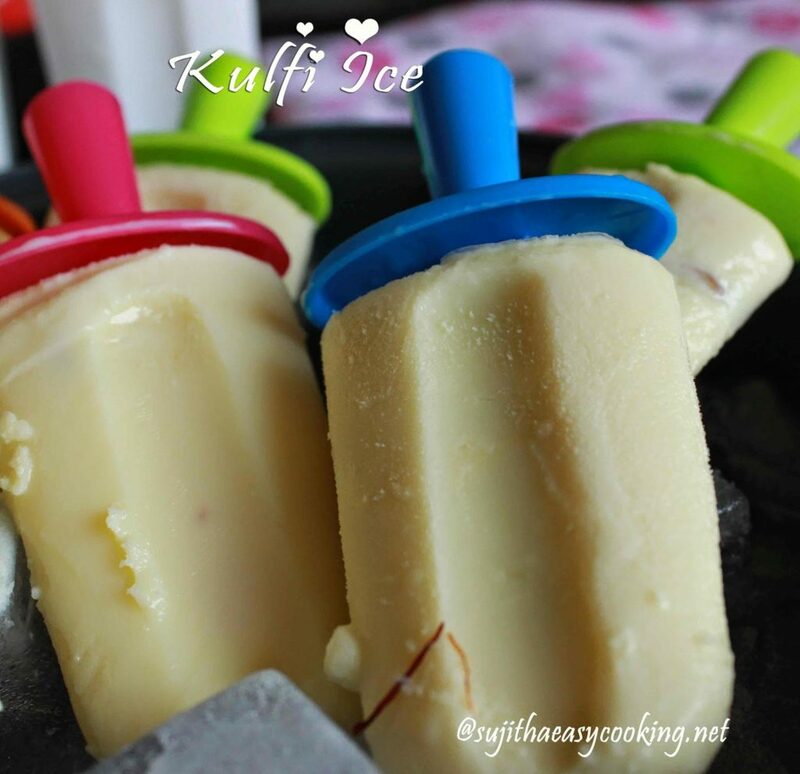 * Add in the Saffron mix and nuts to the milk..
* Take off the milk from the flame, allow this to cool.. fill the mold with the milk, cover this with the sticks..
*Freeze this for 6-8 hrs in refrigerator.. once the get set in the mold show the bottom side in running water to take the kulfi out from the mold..
* Boil the milk in low flame. 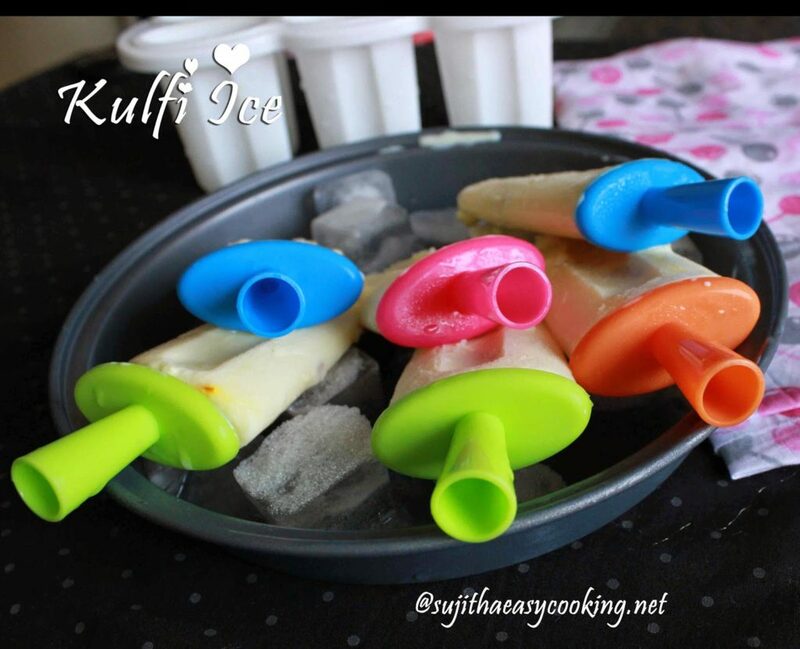 * Once you add the corn starch, completely turn the flame to low… otherwise they start to burn..
* Carefully show the bottom side in the running water under the tap..
* When removing out the kulfi from the mold.. slowly remove otherwise it may break..
Ready to serve… have spread this kulfi’s in the ice bed..
Btw where do you get those colorful molds? Gowri, I got this mold in a super market..
Wow ! Super, mouth watering here.